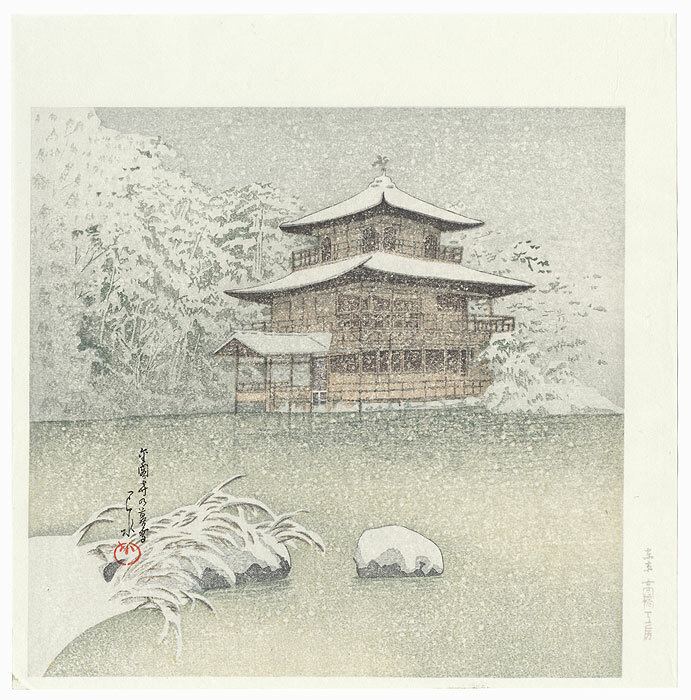 Evening Snow at Golden Pavilion - Serene winter view of snow falling at evening over the Golden Pavilion (Kinkakuji) in Kyoto. 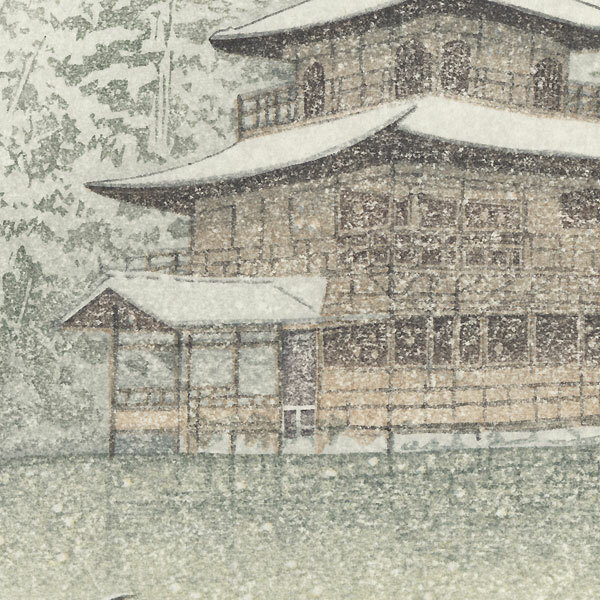 A quiet hush pervades the scene, the snow blanketing the rooftops and the trees and grasses along the shore. 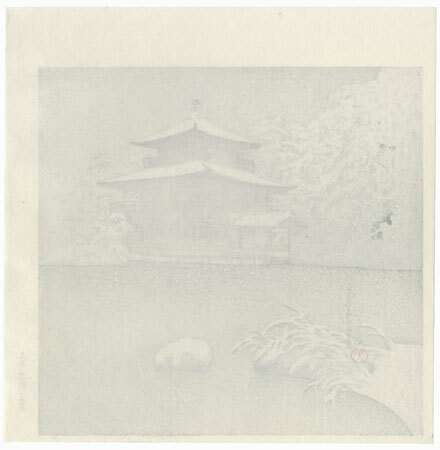 Beautiful muted color with fine bokashi shading. A lovely design.